For the last 7-8 years, we have put together an Easter egg hunt for the community. We are doing it again this year! 1. 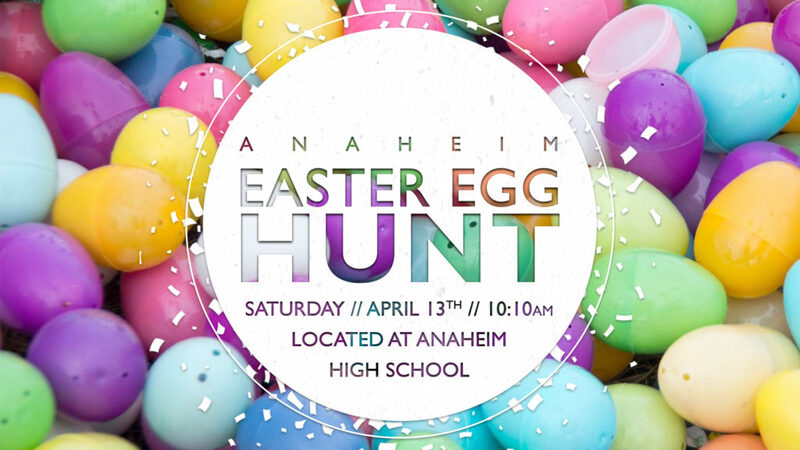 The Egg Hunt will be divided into age-appropriate sections between 0-12 year olds. 2. If you have older kids, there will also be other activities they can get involved in. 3. The event will be happening RAIN OR SHINE! 4. 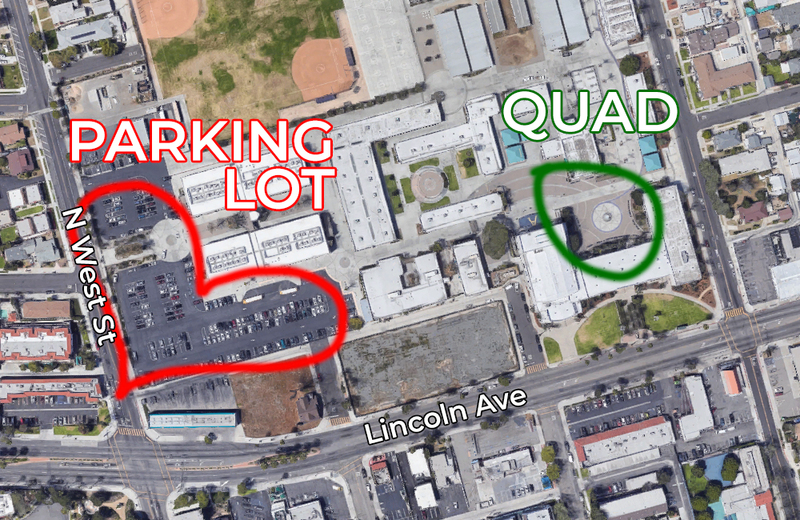 Although we are meeting on the same campus as last year (at Anaheim High School), we will meet in the QUAD instead of the football/baseball fields. A satellite of the map can be found below. Note that the Quad is in the middle of the school campus (where students eat lunch). Parking will be available in the lot on the corner of West and Lincoln. Check out this recap video from last year’s Easter egg hunt for an idea of what to expect. We hope to see you there!